The sun is shining, a crisp breeze is in the air and beautiful blooms are popping up all around the bluegrass. This week we're paying tribute to the beautiful buds of spring with an outfit perfect for looking super chic. Shorts can be a very intimidating piece of clothing, but when done right, can actually look both classy and on some occasions, even professional. Starting off our fresh and fancy look is a couple of crisp suiting separates. 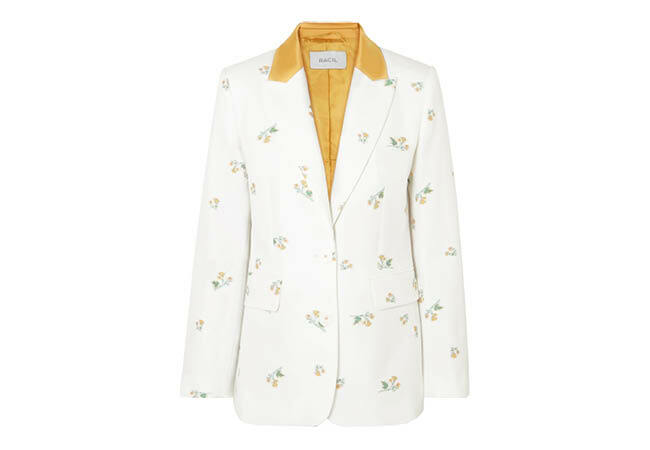 Tailored from slightly structured cotton-blend jacquard, Racil's 'George' blazer is woven with pretty floral sprigs and trimmed with luxurious marigold satin. The same air of style continues with the matching shorts. 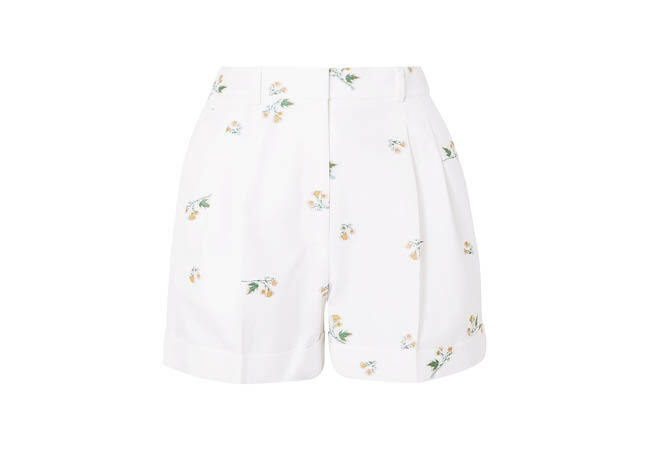 The pleated 'Max' shorts are woven with cross stitch inspired florals and a ladylike length. While this outfit is ideal for a day at the races, it works just as well for the office or drinks with friends. To accentuate the sumptuous golden trim on the jacket, we wanted sandals that would instantly add a little magic to our feet. Crafted in Italy from smooth leather, these yellow tasseled sandals from Lanvin feature an open toe, an ankle strap and eye-catching tassel detailing. Incorporating even more springtime white into this look, we wanted a bag that felt light and casual. 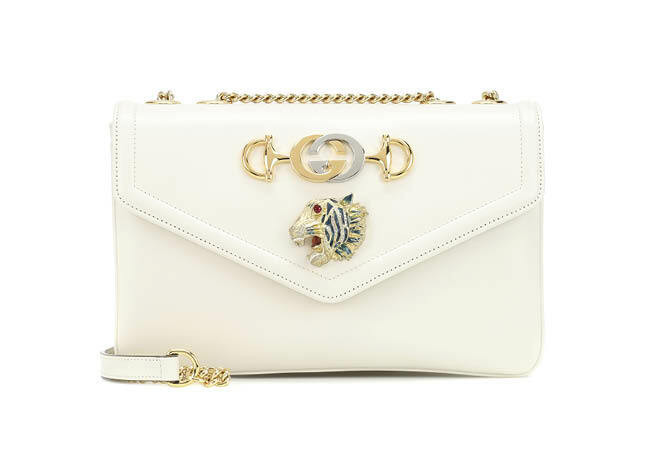 Gucci's Rajah Medium shoulder bag is made from smooth ivory-toned leather and comes with vintage details from the label's archives. The brand's signature horsebit charm is merged with the interlocking GG logo in a combination of golden and silver tones. Topping off our ensemble is an essential for any sunny day: Celine’s chunky yellow sunglasses are an oversized take on a classic style. 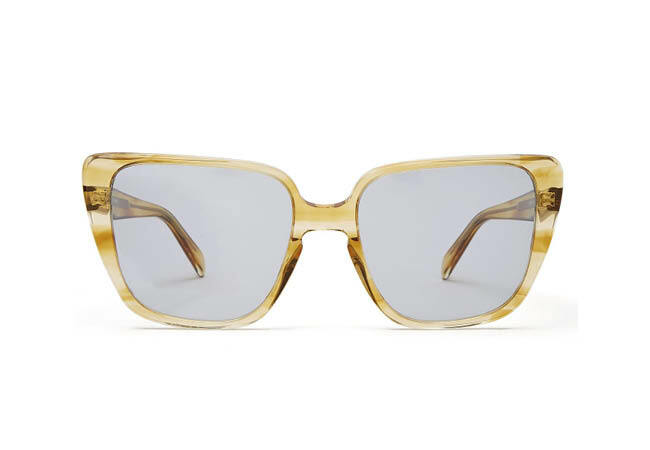 They are cut from acetate to a square frame with a slight cat-eye shape and rounded corners, while light blue tinted lenses achieve a vintage inspired look. For beauty, we want skin to look glowy and luminous. 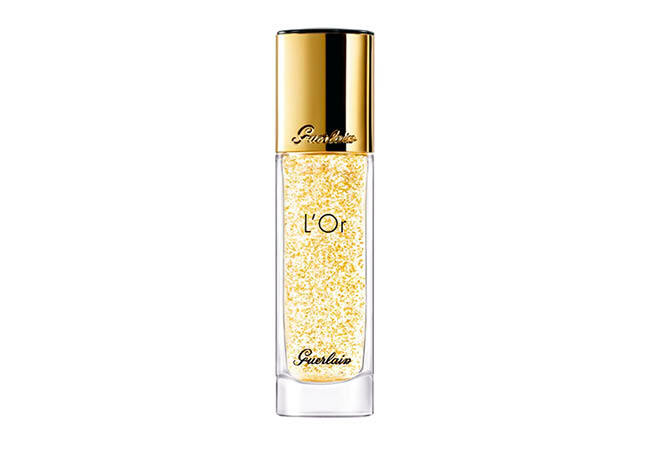 Guerlain l'Or is an embellishing make-up base sprinkled with pure 24 karat gold flakes that will make your skin look and feel like a shining star. While this outfit is ideal for a day at the races, it works just as well for the office or drinks with friends. Wherever you choose to wear it, you can bet everyone will adore your "best buds".